This is an excellent opportunity to purchase a well established and profitable high street bar. The business is presented to a fantastic level and comes with excellent potential for sustained and future growth. Bar Java is a fantastic bar offering the finest cocktails, wines, spirits, draught ales, beers and music to many regular customers, as well as general visitors to the area. Having successfully operated in the town and under the current ownership for the last 18 years, the business has become very highly renowned and earned itself an excellent reputation for offering a relaxed atmosphere. Due to the nature of the business the owners benefit from many satisfied customers, therefore attracting repeat trade to the business. The business operates from an imposing double fronted terraced premises, which is presented to a high standard with an excellent range of fixtures and fitting to go with the sale, including a fully fitted catering kitchen which is currently unused. 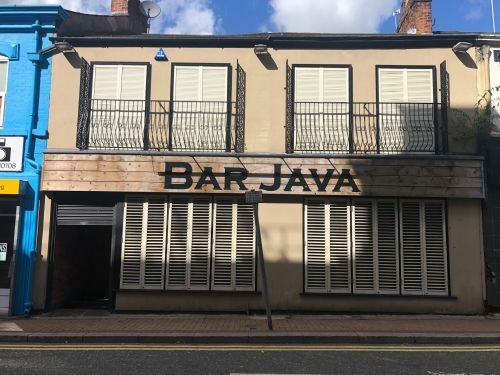 Bar Java is a thriving and lucrative business, which offers excellent scope for future growth and improvement and would ideally suit an ambitious and energetic owner that has the opportunity to assist the business to continue to thrive. This is a first class, high turnover, excellent business opportunity with fantastic scope for future growth. A viewing is highly recommended to avoid disappointment. 2017 annual sales are approximately £286,000. The business is managed by the owners with up to 5 part time members of staff. The business operates from a highly visible, imposing double fronted terraced premises, occupying a prominent position in the town. There is a smoking area to the rear of the property, which can be accessed through the main bar. On entrance to the property you can find the main bar, which is centrally located with a small seating area to the right. Access to the smoking area and toilets can be found to the rear of the main bar. The fully fitted catering kitchen is located just to the rear of the bar. The top floor is currently used for storage with a staff room and a rest room. There is no accommodation included within the sale. We are advised that the property is available as a freehold. This is a fantastic opportunity to purchase a highly profitable business with terrific potential for future growth and improvement. A viewing is highly recommended. Property descriptions and related information displayed on this page, with the exclusion of Running Costs data, are marketing materials provided by Kings Business Transfer, and do not constitute property particulars. Please contact Kings Business Transfer for full details and further information. The Running Costs data displayed on this page are provided by PrimeLocation to give an indication of potential running costs based on various data sources. PrimeLocation does not warrant or accept any responsibility for the accuracy or completeness of the property descriptions, related information or Running Costs data provided here.